How to export Excel sheet to PDF format in Excel 2013 ? This blog post will explain in simple steps on how to export the excel sheet to PDF format in Microsoft Excel 2013 so that it can be easily shared and be used for printing later. Follow the below steps to export the excel sheet(s) to PDF file. 1. Open your Excel workbook. 2. 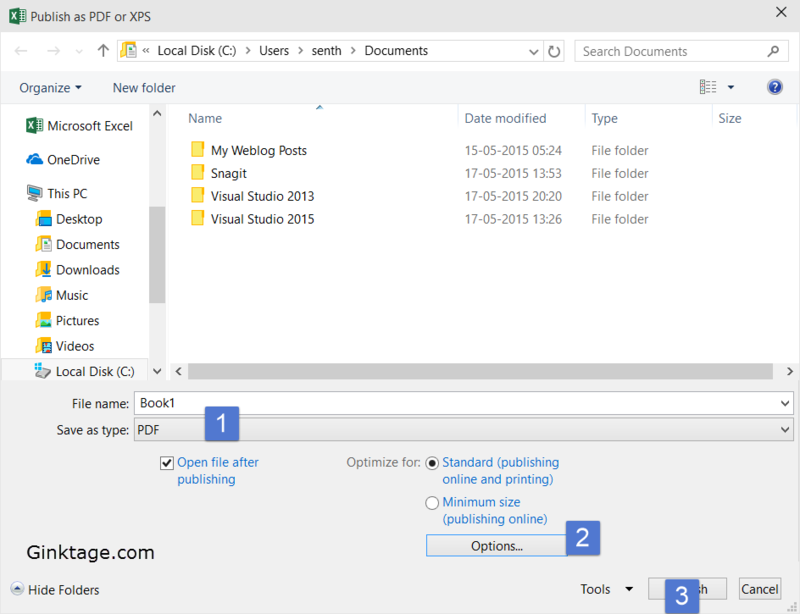 Navigate to File –> Export and click the Create PDF/XPS document button. 3. This will launch the publish as PDF or XPS dialog . Click the publish button to export the document in PDF format. 4. You could also use the “Options” button as shown in the above screenshot for additional options like “Selection of the pages for export” , “Worksheet selection or to print the entire workbook” etc.